COMBINATION SKIN enjoys this lighter weight crème. A Star and Flagship Product. 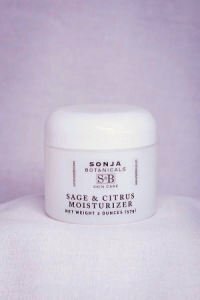 The combination of active Botanicals: Sage which is valued for its medicinal properties, purifies and stabilizes oil skin; Watercress, high in Vitamin A and has natural anti-bacterial properties to help fight acne and blemishes; Lemon Bioflavonoids brightens and clarifies the complexion and helps to balance oily skin; Vitamins A, E and C help to protect the skin from free radical damage and revitalize the complexion as well as improve the skin’s elasticity.